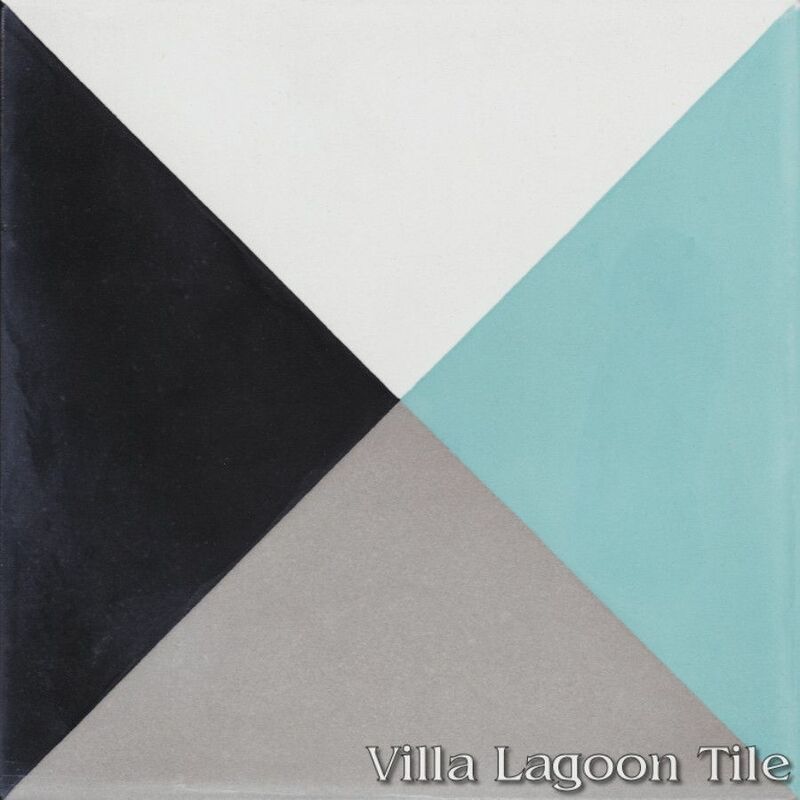 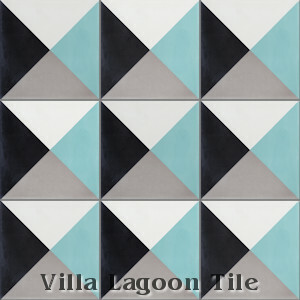 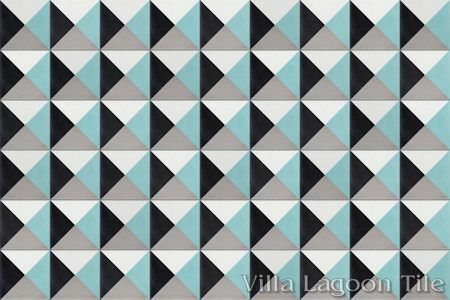 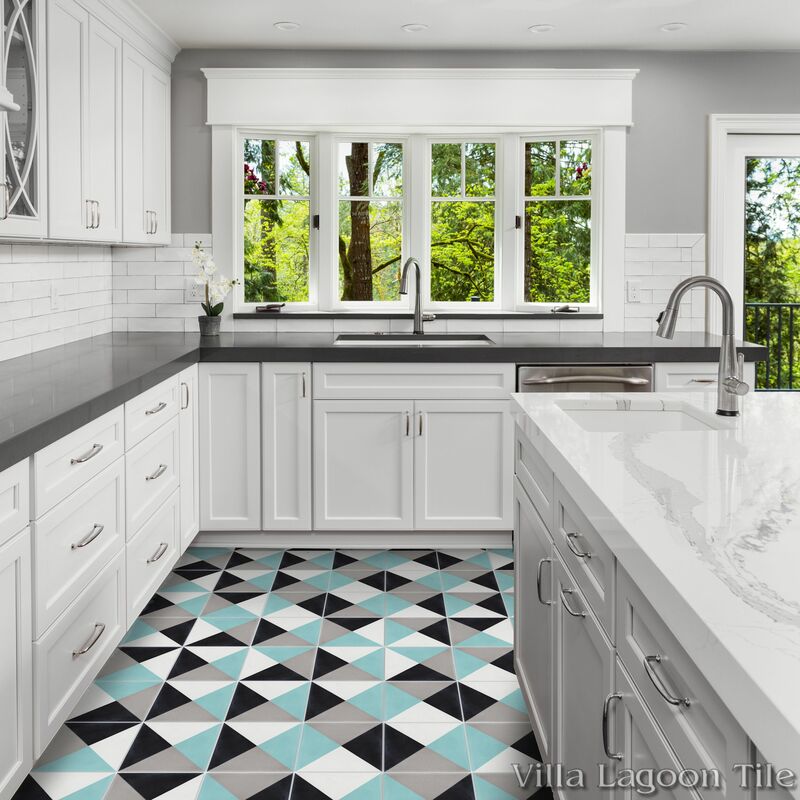 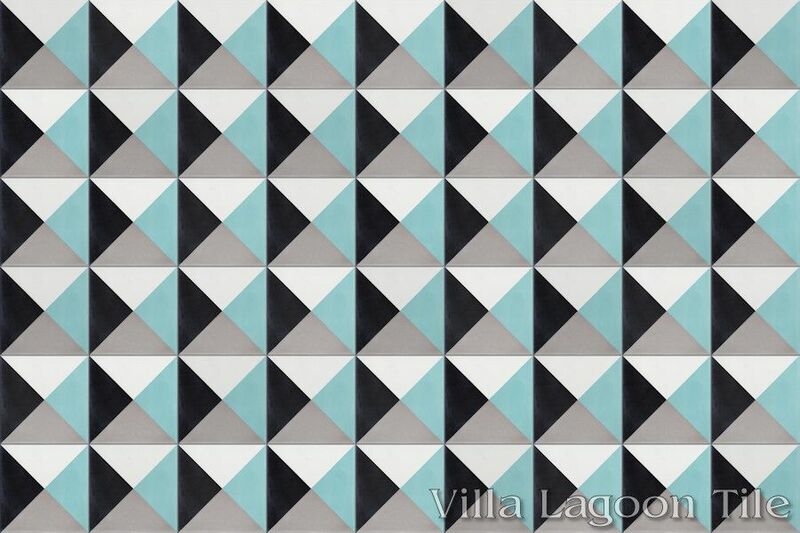 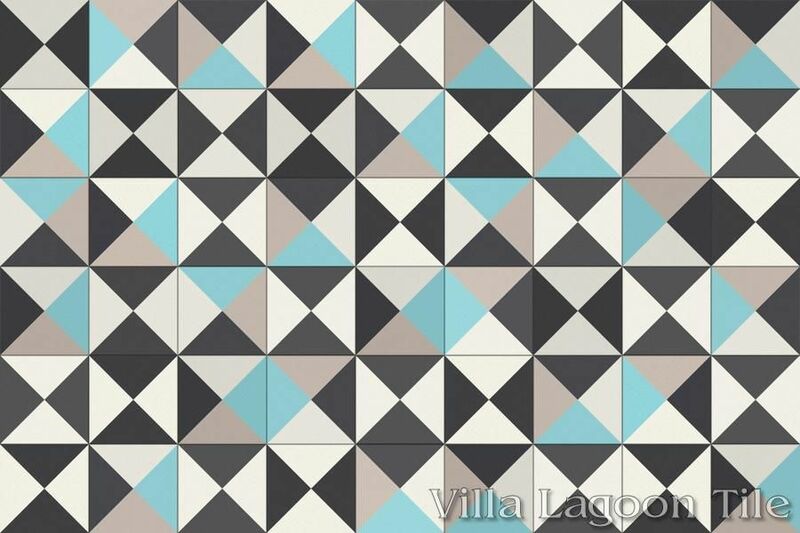 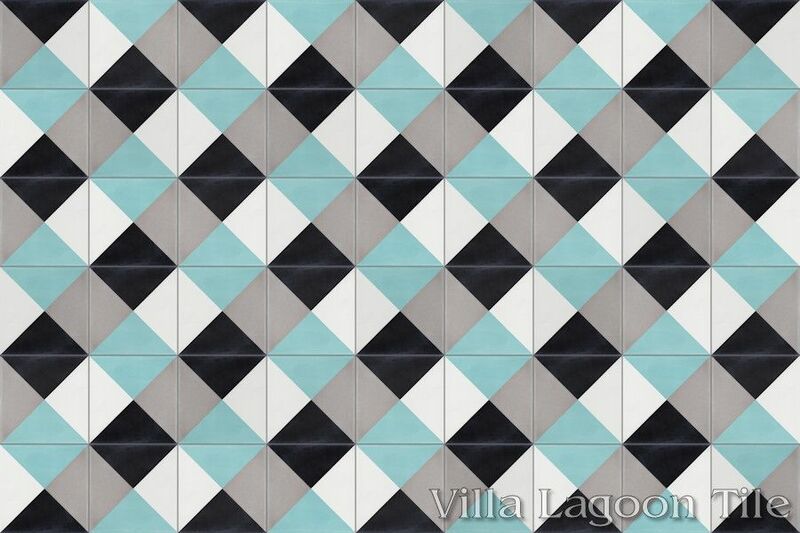 This is a 4-color tile using Black, White, Featherstone, and Seaside Blue from the South Beach Palette. 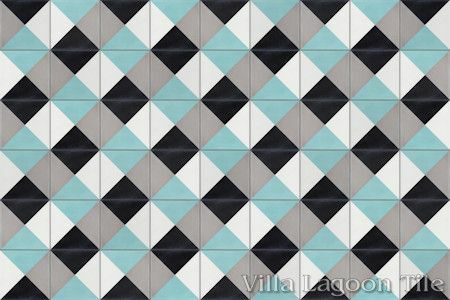 We have come to call this standard pattern "Tugboat". The shape is used with yellow, red, blue, and black as the Zulu nautical flag, which used alone can signal, "Need a Tug".